Today I was placed on a special work project for next week so I was dreading getting my schedule. Sure enough I got placed into a morning tabletop shift. OTL I’ll see if I can swap, but most likely I’ll end up having to drop/partially drop. Pony shift in Main as always. If I luck out and make it to the last round of the 7 Wonders tournament again on Friday, I’ll miss the GeekNights panel. Ironic because the last time I made it to the last round of 7 Wonders, Scott was Enforcing it, and the prize he gave me for 2nd place was telling me that I was the first loser. I’ve been on a mission for a medal ever since. Oops. Probably shouldn’t be my usual jerky self while enforcing like that. Lol. To be fair I did mention I was a listener before that, so I’m pretty sure that had something to do with it. My friend got a medal for placing 2nd in the Peggle tournament the year before, so I was just asking if there was a prize for 2nd there too. My prize was getting told off by Scott. A prize so common it’s roughly equivalent to those Spider Rings you get for 1 ticket at an arcade. Back in table top this year. Still in VR. Pretty happy about that. Hopefully I can prevent any more dodge roll incidents. So who wants to jump into the ball pit for prizes? 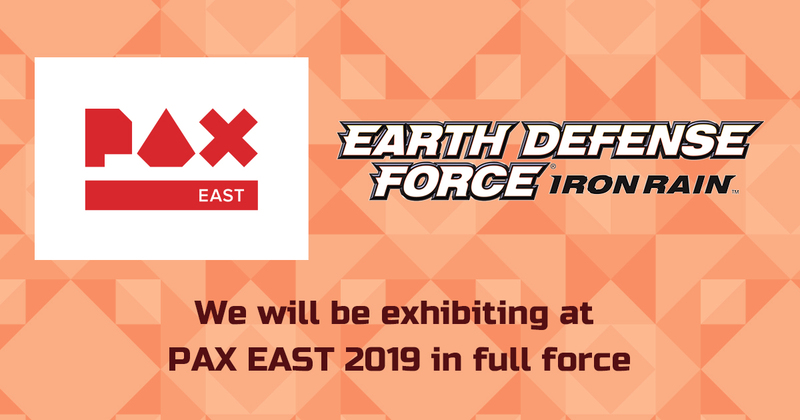 This is EDF:IR on PAX East 2019 Special website. Cookie brigade news. Apparently they are having some issues. I mean, I’m shocked they lasted as long as they did in the way they were operating. That ship will sail permanently one day. I’m inclined to agree. I’m kinda surprised, considering all it would take is one malicious actor to tear down the whole thing. It seems like the situation is that they have managed to become legitimized so they can now openly brigade without fear. However, due to some sort of rules, their homemade cookies are not approved (yet). But with an additional year of time, they will be able to go through some sort of process to get their cookies approved, and they will be in an even better position. I think I forgot to mention that I will be coming this year. I made a snap decision when the passes went on sale. For board games, I will be looking to play(read lose) at chess and Carcassonne. I will have the digital editions of them on my laptop for playing. Do they usually stream the storytime? It’s Arin Hanson from Game Grumps this year and I really want to see that. Emily will be working the VR Village. I believe she’s managing one of the areas this year. I’m pumped to see how well Oculus Quest actually works. With VR Chat dropping on it, it’s a big deal.